The Developing Minds Conference held in London on 8 February 2019 seemed, throughout the morning, to celebrate the status quo in psychology. Work on positive reinforcement (Tamsin Ford), the importance of physical health and skill mastery (Geoff Thompson), the power of emotional regulation – through learning to identify, reflect on and manage emotions, to assess impulses before acting on them – and to respect, with compassion, others’ subjective experience (Dan Siegel)… all are important but also familiar. 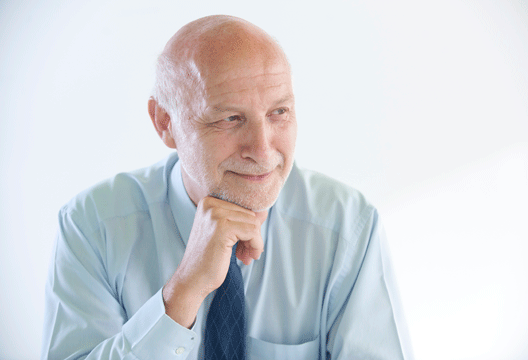 When Peter Fonagy’s talk began, all that changed. Well known for his work with colleagues at University College London and the Anna Freud Centre on the concept of mentalization, Fonagy is also known as a critic of the still widely promoted attachment theory – that 'secure attachment' with a care figure (usually a mother) is key to mental health and wellbeing, both in childhood and as an adult. His criticism is not so much that attachment theory is wrong as limited both by its focus on a specific dyadic relationship (mother and child) and its cultural narrowness. Mentalization is a much richer concept, wherein, through focused, responsive interactions with an adult, the infant experiences an inner world that can be known, understood and modified by others. Moreover, attachment theory emphasises the importance of one key person, whereas Fonagy’s work focuses on how infants develop within a range of personal relationships, not only within a family but also within a community in which the family is embedded. He began one line of his multi-layered model by arguing that, in evolutionary terms, attachment to one individual does not make much sense. Life is too fragile, too vulnerable to mis-steps and mishaps, for successful development to rest on the survival of one particular person when in fact humans are so firmly embedded in social groups. Far more important is recognition of the child as an agent 'sensitized to attend to others’ wishes and interests'. The self-understanding an infant gains through dyadic, turning taking, exquisitely choreographed interactions is developed and exercised with many other people. As such exchanges are refined and recognised, as these become routine across relationships with other people, the infant enjoys an 'epistemic match' – that 'click' of feeling understood and connected. Here is where trust is formed, but the 'trust' Fonagy describes is subtly and importantly different from the familiar concept of 'basic trust'. Fonagy focuses on what he calls 'epistemic trust' – trust in those who provide useful information about the child’s world. We know from experiments that when someone (an unfamiliar experimenter) shows interest and kindness towards infants, and then smiles at an object (a blue plastic blob, placed beside a red plastic blob of a slightly different shape), infants adopt that preference. The blue object becomes more interesting, more approachable, more desirable when someone who has shown an interest in the infant has also shown interest in that (useless, random) object. Information is best passed on to children by those who engage with them; responsive engagement generates trust. Without access to epistemic trust, there is uncertainty, suspicion, lack of direction and integration, with the consequence that a child simply does not know who to believe or how to form appropriate connections with others. Hence, the capacity for social learning is compromised. Importantly, Fonagy identifies such restricted social learning, whether from genetic liability or early social adversity, or both, as a common feature of psychopathology in children and adolescents. This reconfigured developmental model will be enormously useful in theory and therapy, but it also resonates with one of the crucial questions of our time: why are so many of us so poor at distinguishing trustworthy information from that which should not be trusted? Why does our 'epistemic vigilance' so often fail, compromising the ability to distinguish between clear, well-presented evidence, and the untrustworthy slew of what is often called 'fake news'? Have new forms of communication destroyed our capacity for 'epistemic trust'? Does the current social environment pose special risks to the most basic cognitive skill of gauging others’ trustworthiness? - See also our 'One on One' with Professor Fonagy.